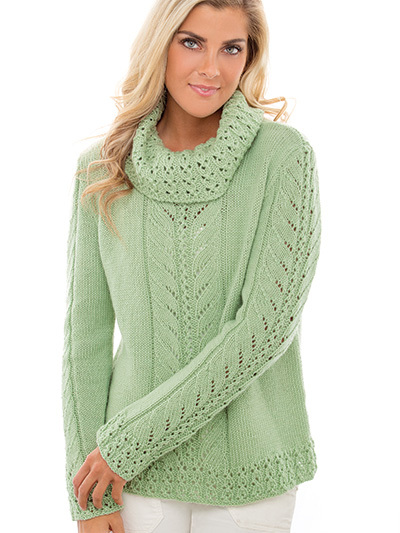 This comfy pullover with beautiful details is worked up in soft yarn and has a cozy cowl neck. Size: Chest: 37 (41, 45, 49, 53) inches; Length: 24 (24 1/2 , 25 1/2 , 26, 27) inches. Made with worsted weight; 100% wool yarn, size 6 (4mm) 16-inch circular needle, and size 7 (4.5mm) 16- and 30-inch circular needles. Originally published in Annie's Comfy & Cozy Knits Fall 2018.